OK. I don't mean to demean Ron Mahay at all. It's just that I've never heard of the guy. I know. He's been in the majors for 14 seasons and has had decent numbers over that time. Heck, last year he pitched in 41 games for the Twins and recorded an outstanding 3.13 strike out to walk ratio. He also recorded a 3.44 ERA with 6.6 K/9 and 2.1 BB/9 in 34 innings. These numbers aren't too shabby. So, I guess I'm not that disappointed with this potential news. As you may have already heard from MLB Trade Rumors, he will be signing with the Dodgers. He's a left-handed pitcher out of the pen that should be a good complement to our staff. Oh yhea, he's also 40 years old. Maybe the release of this seasons first Baseball cards has me jumping on any Dodger related news. Anyway, since I can't find any cards of Mahay anywhere please enjoy this great video I just ran into on YouTube. It is a up close interview with a 98 year old kid who loves the Dodgers... and women. Wow! This Cobb is Rare. Cuban Baseball cards are some of the more rare and scarce issues that exist in the hobby. They are seldom found as most have either been discarded over the years due to weather or a certain revolution that brought in a Baseball playing-beard wearing ruler. 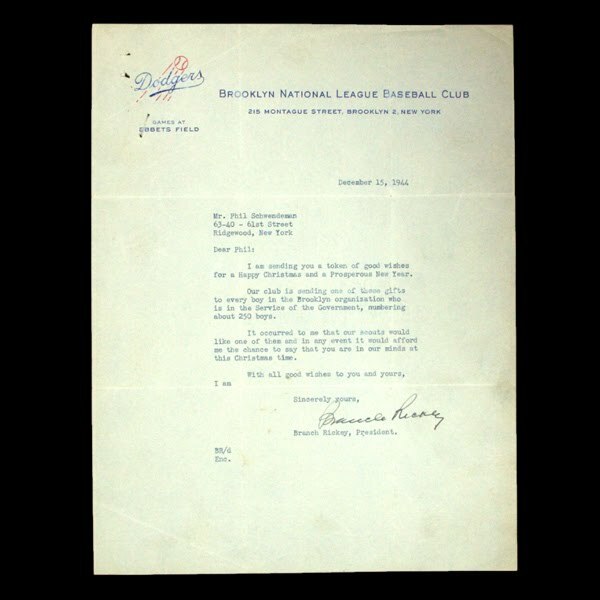 It would be hard to imagine that the political conditions there would bode well for Baseball memorabilia. Of course, fandom knows no bounds. So, who knows? There could be thousands of Cubans flipping through papa's albums of vintage Baseball memories waiting for the opening up of the nation to realize their capitalist worth. 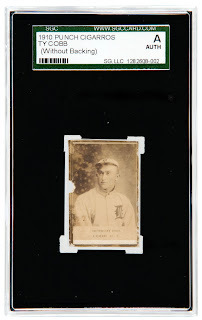 The below card, recently sold by Hake's Auctions, is an example of one of the earliest issues from the island. It was created in 1910 by Punch Cigarros (Cigarettes). They are small sepia tone photographs often glued onto a cardboard backing. In fact, most cards from this set found today do not have the cardboard backing. Issued contemporary with a visit by the Detroit Tigers and Philadelphia A's for an exhibition series of games in Cuba between Nov. 10 and Dec. 5, 1910. Also, this Cobb below is only one of two known to exist in the hobby. Even in it's decrepit condition it sold for $13,773.32. Here we go again. Hunt Auctions is running their regular internet auction and it has a few items worth noting to Dodger fans. Here is a great, although belated, signed letter from Branch Rickey on Dodger letterhead wishing the recipient a merry Christmas. "I am sending you a token of good wishes for a Happy Christmas and a Prosperous New Year." Also up for auction is a collection of original photographs from John Weiss. He has captured several 80's era stars. 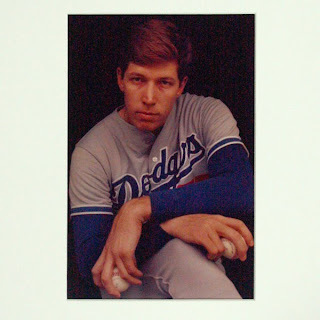 One of which is our own "Bulldog" Orel Hershiser, below. 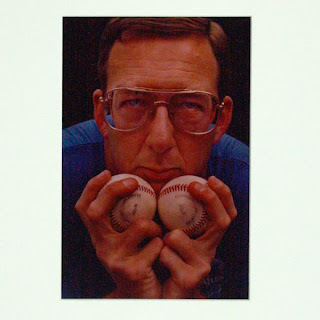 My favorite, though, is of Kent Tekulve. He had one of the craziest side-arm deliveries I'd ever seen. Not only that, this photo makes me laugh. My first thought was "Men in Black II" - the Ballchinian. Notice something funky about the 2011 Topps base card of Andre Ethier? Over the past several days, as boxes and packs quietly entered the marketplace before yesterday's official release date, collectors have been stumbling upon a handful of unusual variations. No, it's not a reverse negative or a miss-spelling somewhere. It's what you see on the top of Ethier's helmet. It is a little sparkle. As discussed here at Freedom Cardboard, this is an added variation within the card and constitutes a short print in the set. 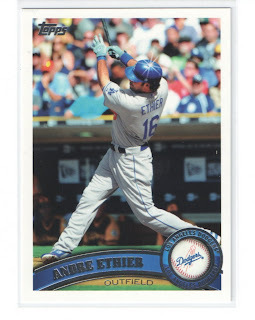 The normal base card for Ethier does not have a twinkle on his head. So far, only 21 different players are known to have the diamond sparkle (I am sure more will be discovered soon- heck, maybe the entire set has a sparkle twin), and only one Dodger is represented so far. I don't expect these cards to be so rare you should go out and get one now. If anything, it would carry a small premium, so don't get carried away Dodger collectors.